Scott Eisen/Getty ImagesSen. Elizabeth Warren. President Donald Trump loves to relive his 2016 upset victory against Hillary Clinton and is reportedly looking for a similar win in 2020 against Senator Elizabeth Warren. Trump thinks he could crush Warren in a general election, according to the news site Axios. He frequently mocks her as “Pocahontas,” a reference to her past claims of Native American ancestry. “He seems to think she’s going to be the nominee,” a source told Axios’s Jonathan Swan. At a rally in Mississippi ahead of the midterms, Trump brimmed with confidence when thinking about 2020. “I want you to vote. Pretend I’m on the ballot. And don’t worry, we’ll be on the ballot in two years and we will do a landslide again,” said Trump. However, Trump has never won an election in a landslide, as he lost the popular vote to Clinton in 2016 and pulled out a relatively narrow electoral college victory. Trump has frequently swiped at Warren, often calling her “Pocahontas,” a reference to her listing herself as a Native American and a minority in an Association of American Law Schools directory in the 1990s. 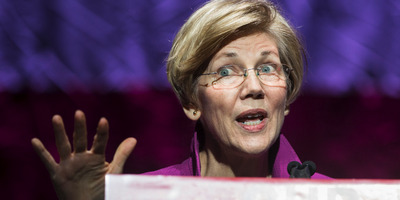 Warren has said she relied on “family stories” as evidence of her Native American heritage, although she has not always identified herself to organisations as a minority. According to Axios, Trump’s advisers like his chances in an election against Warren, but feel differently about a potential contest with former Vice President Joe Biden, whose working-class appeal could chip away at Trump’s dominance with white voters lacking a college degree.